Who owns our ancient past? What should be done with objects from antiquity, when their provenance is uncertain? From the debate over the British Museum's Elgin Marbles, to the conviction of art dealer Giacomo Medici in 2004 for selling millions of pounds worth of stolen Italian antiquities on the international market, curators face a minefield when acquiring new objects. Now, the director of the Art Institute in Chicago, James Cuno, has argued that we should not waste time debating what to do with objects whose origin is less than completely certain. He says that museums should simply take all the necessary steps to ensure that purchases are legal and are not looted or stolen. But he opposes the concept that a country has an automatic right to have the antiquities that originated from their region returned, criticising the idea that there is "an indelible link back to the ancient peoples who by chance happen to occupy that bit of earth that modern nation states do now occupy". Lord Renfrew, a former director of the McDonald Institute for archaeological research at Cambridge University, says Mr Cuno's argument "isn't good enough". "The great problem at present is the destruction of the record of the past through looting," he says. "If great museums feel free to buy anything then you have a free-for-all which encourages the looting of the past." 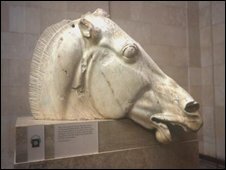 While the controversy over the Elgin Marbles stretches back to the 1800s, there are many more recent claims on notable antiquities. 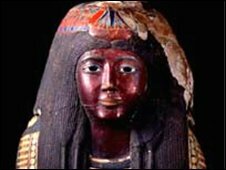 The 3,000-year-old Egyptian funerary mask, known as the mask of Ka Nefer Nefer, is on display at Missouri's St Louis Art Museum after it purchased the artefact in 1998. In 2006, Egyptian authorities called for the mask to be returned after being alerted to an object that had been missing from their collection since the late 1950s. They claim to have documentary evidence that the mask disappeared from museum storage in Cairo and was illegally smuggled out of the country. But the museum has refused to return the mask, saying it was obtained legally and through the proper channels. The Sevso treasure is a collection of 14 intricately decorated silver objects, believed to date from the late Roman empire. The silver was bought in the 1980s for an estimated £10m by Spencer Compton, the 7th Marquess of Northampton. But an attempted sale in 1990 fell through when the Republic of Hungary claimed ownership of the silver. 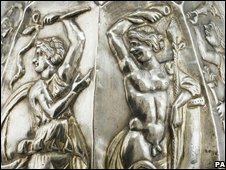 Hungarian authorities maintain that the treasure was discovered by a quarry worker in the Hungarian town of Polgardy, who hid the silver in an old wine cellar. He was then found hanged and the hoard mysteriously disappeared only to emerge later on the international market. The Hungarians believe it should be returned to Hungary to be displayed in the national museum. In the cafe of the Kimbell Art Museum in Fort Worth Texas stands a 7th Century Mayan limestone monument to king K'inich B'ahlam II. 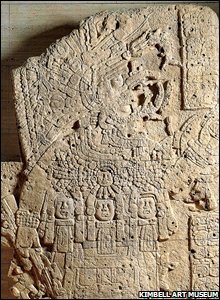 It is alleged that the carving, known as a stela, was looted in the 1960s by a Mexican logger from a site in Guatemala known as El Peru-Waka. The stela is legally owned by the museum as it was acquired before 1970, the date when UNESCO introduced conventions on the trade of illicit artefacts, but the Guatemalan government still claims that the carving should be returned. In an attempt to ease the situation, the museum has arranged for an exact replica to be produced and given to Guatemala.